The commissioners agreed to continue working with the Maryland Department of Housing and Community Development and transfer more than $1.8 million in bonds for the On Behalf Of Bond Transfer Program. The initiative works with the Maryland Mortgage and the Maryland HomeCredit programs, according to a proposal. Worcester County’s housing bond allocation is $1.8 million. The county has previously transferred 100 percent of the allocation to the Maryland Mortgage Program. The Maryland Mortgage Program offers “low interest loans for first-time homebuyers” and people “who have not owned their principle residence within the last three years,” program documents. Honorably discharged veterans and homeowners purchasing houses in a targeted area are exceptions. The Maryland HomeCredit Program offers a “25 [percent] federal tax credit of the borrower’s annual mortgage interest program, up to a maximum credit of $2,000 in any single year for the life of the loan,” according to the proposal. A request to seek more than $800,000 for Worcester County’s Initiative to Protect Families from the Governor’s Office for Children was approved Tuesday. The organization requested $832,918 in funding, which includes $124,115 for an administrative budget and $708,803 for program allocations, according to the proposal. Jessica Sexauer, director of the local management board, said multiple programs aim to help with employment, incarceration and trauma. “These programs were determined to be a high need in Worcester County to provide ongoing support and improve … outcomes for children, youth and families,” she said. The commissioners agreed to work with CGI Communications for a cost-free video marketing project. 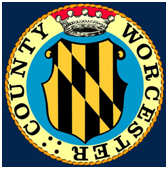 Worcester County is also eligible to participate in a free showcase project for counties throughout Maryland, according to the proposal. CGI Communications worked with the Maryland Municipal League and National Association of Counties for this cost-free endeavor. The project offers a welcome video and five videos with several topics ranging from economic development, tourism and education. However, it was the at-no-cost-to-the-county part that appeared to entice Bertino. “No cost? Motion to approve,” he said. How come every single county dept came before the commissioners last week asking them to raise their budgets without any mention of work they had done to seek grant funding for the money first ? It is completely ridiculous for everyone, every year to come up with why they need another million dollars for another employee or two and some more brand new vehicles. Does anyone ever think outside the box in this county ? Occasional rain tapering to a few showers late. High 63F. Winds NNW at 5 to 10 mph. Chance of rain 80%. Rainfall around a quarter of an inch.